The PFC is a non-party political, anti-sectarian human rights group advocating a non-violent resolution of the conflict on the island of Ireland. Q & A - Is there a witch-hunt against ex British soldiers? A quick question and answer guide to the current debate around prosecutions of former soldiers, 'letters of comfort' and the alleged 'witch-hunt'. Background to the Supreme Court case along with links to the hearings. 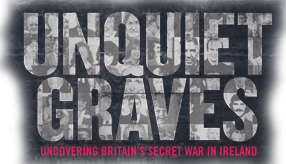 Uncovering Britain’s Secret War in Ireland.